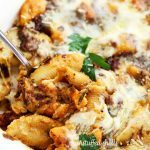 Unstuffed Shells with Butternut Squash and Tomato Pesto – Saucy, creamy, delicious unstuffed pasta shells with butternut squash and tomato pesto. Alternate title should read: Obsession with butternut squash. 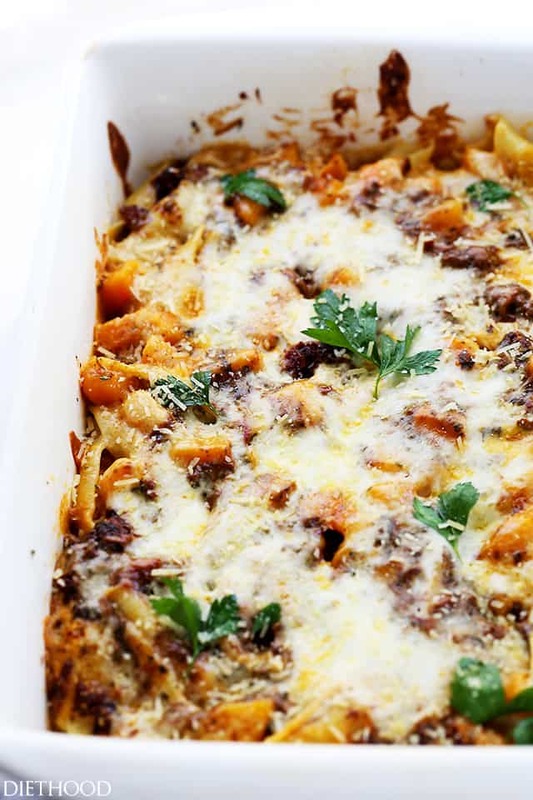 Also, this casserole thingamajig has something to say: Take a BITE out of FALL. Y’ALL! Happiest of Fridays, pals! How the heck are ya? Good, I hope? Happy to hear! I’d feel much better if orange/yellowish food looked better in pictures, and if eating all the Halloween candy 2 weeks before Halloween was totally acceptable. Dang Walgreens… I bought $90 bucks worth of candy and now it’s almost all gone. I did however use some of it for a couple of recipes for the bloggy, so it’s not the end of the world just yet. In other news, butternut squash can also be added to my candy stash. After 10 minutes in the skillet, I’m eating those squash-cubes as if they were bite-size snickers. I think it’s been far too long since I told you about how to pour cream over pasta and bake it. Also? I don’t enjoy stuffing shells – takes far too long! – and for that reason, I just didn’t. I figured pouring the squash mixture over a layer of pasta shells was good enough. Lemme just say, I was SO not wrong! A. You get more of the textured creaminess and less of the pasta. The pasta is just there as a vessel. Kind of like all the greens on the bottom of a salad. It’s not the lettuce you care about – the toppings are the ones rockin’ your world. B. The tomato pesto!?? Holy smokes! This was totally unintentional, but pat me on the back for adding it in there because, there’s nothing else that this pasta casserole needs. As I found out, few dollops of tomato pesto is practically the perfect accompaniment to squash. C. Don’t forget the Chardonnay. 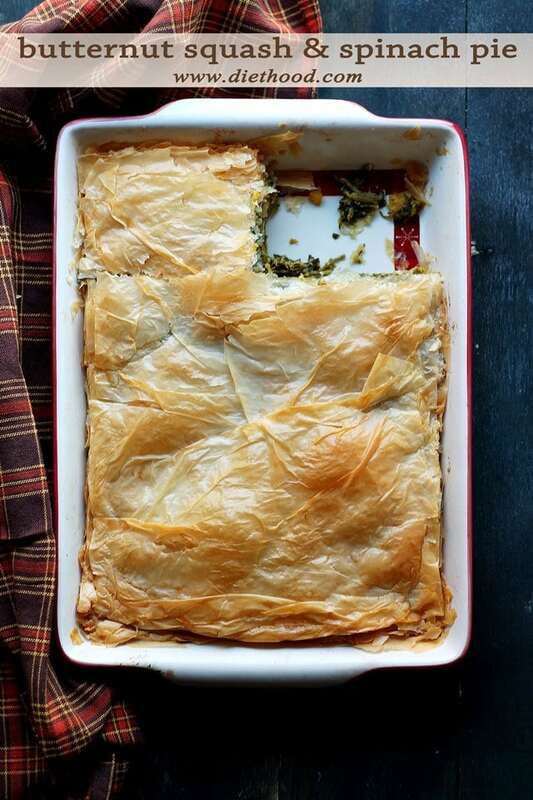 D. This is a great make-ahead meal! Prepare the casserole as directed, cover with aluminum foil, and place it in the fridge for up to 24 hours. When ready, bake it at 375F for about 30 minutes. Lightly grease a 9x13 casserole dish with cooking spray and set aside. Prepare shells according to the directions on the box. In the meantime, heat olive oil in a large nonstick skillet. Add garlic and butternut squash cubes; season with salt and pepper and cook for 10 to 12 minutes, or until tender, stirring frequently. Transfer prepared squash to a bowl and set aside. Whisk in flour; whisk until thoroughly combined. Slowly whisk in the milk, followed by the chicken broth. Stir in rosemary and season with salt and pepper. Cook and stir frequently until thickened and bubbly, about 8 to 10 minutes. Remove from heat and whisk in 1/2-cup grated parmesan cheese. Take a little bit of the prepared sauce and smother it on the bottom of the previously prepared baking dish. Add the prepared butternut squash to the sauce and mix to combine. 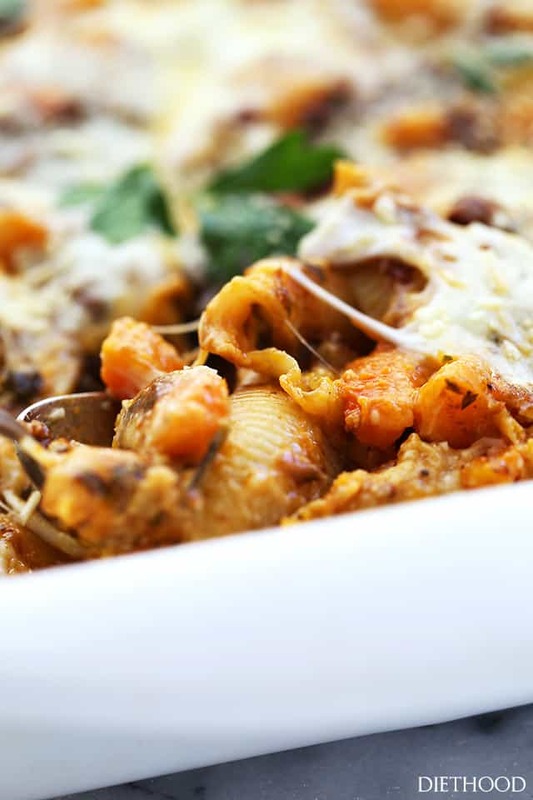 Arrange the pasta shells on the bottom of the casserole dish in a single layer. 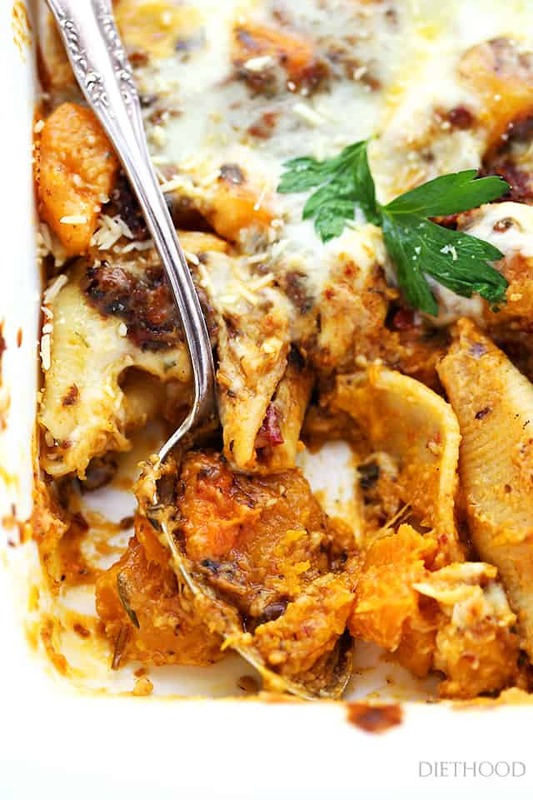 Pour the butternut squash mixture over the pasta shells. Add the tomato pesto and spread it over the top with an offset spatula. Sprinkle with remaining parmesan cheese and mozzarella cheese. Cover with aluminum foil and bake for 30 minutes, or until hot and bubbly. Remove foil and continue to cook for 3 to 5 minutes, or until a little browned on top. I have made this about 10 times in the last couple of months (home, parties, etc) and it is SO good (and different) and everyone loves it- even my 3 young kiddos. It is hard not to eat the squash cubes as they saute in the pan. I do add other spices to the squash as it sautes sometimes and have also used tomato basil pesto as well. Also, I have combined the cream sauce and tomato basil pesto before pouring over the pasta. Anyway you do it, it is amazing! oh man… that sounds incredible. 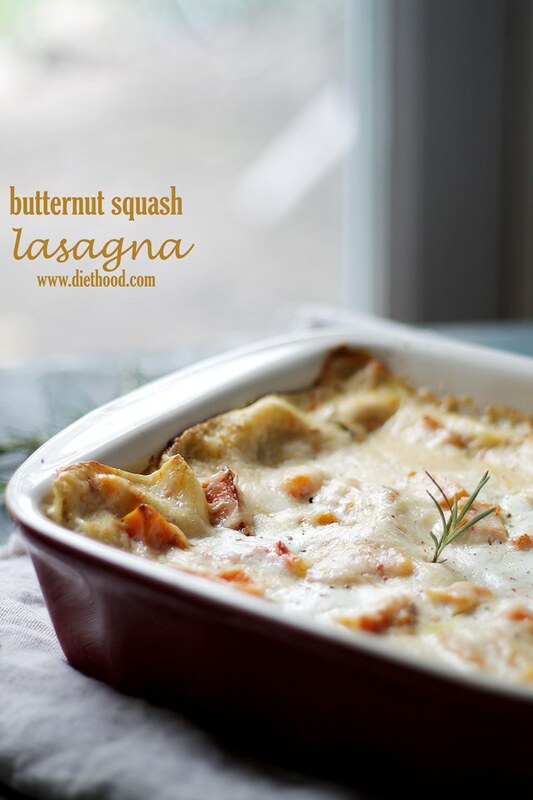 Love me some butternut squash and pasta! Whoa…$90 worth?! Man. I have only given into candy corn and i can’t even finish that whole bag before making myself sick! And this pasta? Love me some butternut squash! Looks like a fantastic recipe. Question about the tomato pesto- did you make it, or is it store bought? Hi Denise! Yes, I used a store-bought pesto. Oh, the Halloween candy. I try not to buy it until a few days before, otherwise it tempts me too badly! 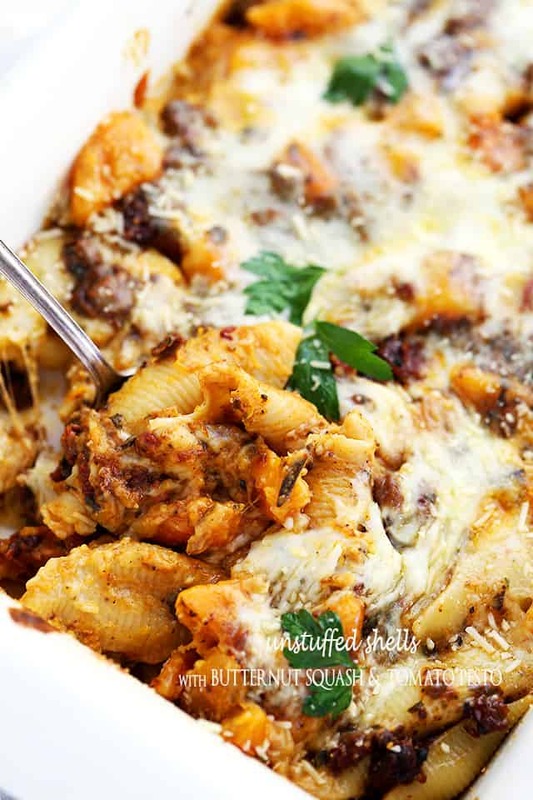 I love the idea of these unstuffed shells – far less fussy for a weeknight meal. Butternut squash and chardonnay make for a delicious dinner! Two of my faves! The thought of tomato pesto with butternut sounds really good! Looks like serious comfort food with the shells, but full of veg too! 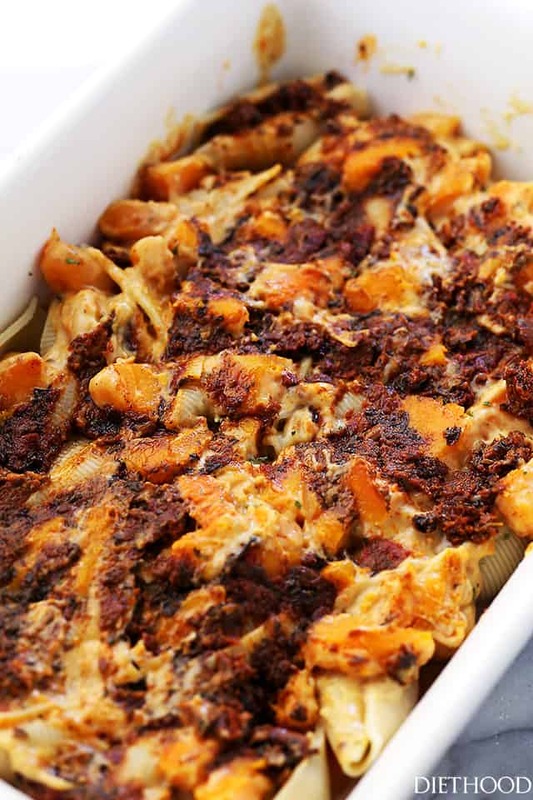 What a great fall comfort food dish! I have a butternut squash that is begging to be turned into anything but soup. This is perfect! Haha, orange food is such a struggle! But, it seriously looks amazing! 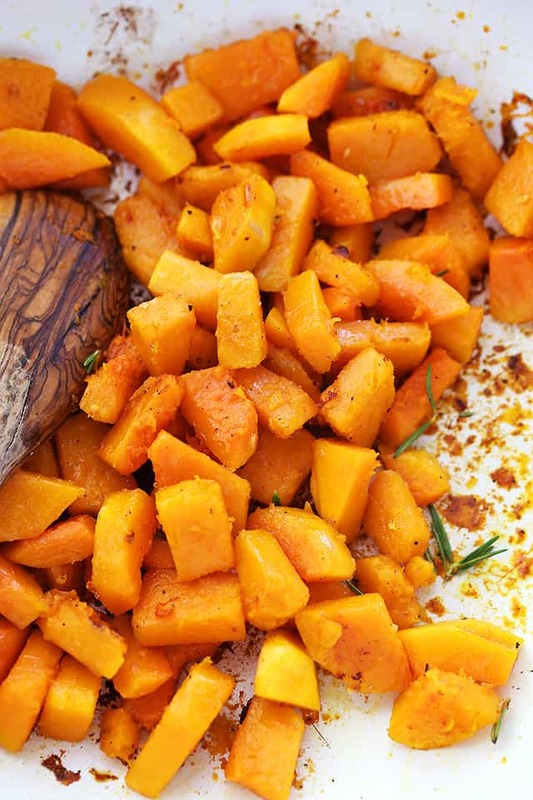 I love butternut squash and totally eat it like candy too!